Home » 360Tour » On the Road with U2 – finally! Tomorrow I leave for the U2 360 tour, a journey that I have been planning for over a year. I am so excited! For 2 ½ months I will be driving with my 2 dogs, Elvis and Cilla, across America to all 16 US shows. Along the way, meeting great people and visiting great places – writing about all of my experiences for a book and recording everything for a documentary. The U2 360 tour will bring me to Denver, Salt Lake City, Seattle, Oakland, Anaheim, Baltimore, Michigan, Miami, Nashville, Chicago, Philadelphia, St. Louis, New Jersey, Minneapolis, and Pittsburgh. In between all of these concerts, I am also going to visit Kansas City, Omaha, Mount Rushmore, Reno, Tahoe, Portland, San Francisco, Palm Springs, Hollywood, Milwaukee, James Dean’s grave in Indiana, the Rock and Roll Hall of Fame in Cleveland, and the Football Hall of Fame in Canton. 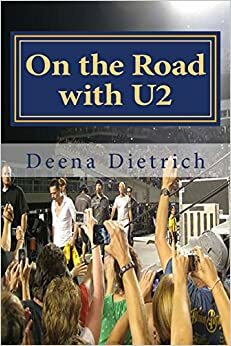 While on the road, I will write daily updates, including pictures and videos, that I will post here on my blog On the Road with U2. Throughout each day, I will also be posting on Facebook (Deena Dietrich) and Twitter (MemphisMullen). I would also like to have U2 Fan Meet Ups the nights before the U2 concerts – when I’m not totally exhausted from all the driving. There are already pre-concert parties planned in Denver, Salt Lake City, Seattle, Baltimore, and Nashville that I am attending. So if I can get enough interest, I would like to organize U2 Fan Meet Ups in Oakland, Anaheim, Chicago, St. Louis, and Pittsburgh for the nights before the U2 concerts in those cities. Thank you to everyone who is supporting me – both with your kind words and reading my posts. I look forward to seeing everyone this summer ON THE ROAD WITH U2! 2 Comments on On the Road with U2 – finally! Going to the Seattle gig. Do you have a handle on any pre-concert parties? Yes there is a U2 pre concert party Friday June 3 at Owl & Thistle with U2 tribute band Zoo Station.